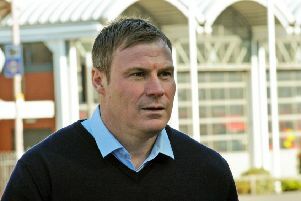 Mansfield Town manager David Flitcroft. Mansfield Town’s players are fired up and ready to exorcise a ghost when they travel to Exeter City on Saturday. The Stags have seven matches left to clinch an automatic promotion place from League Two, but slipped out of the top three and into the play-offs last weekend after an unexpected home defeat to Crewe Alexandra. “They [players] know exactly what is expected,” said manager David Flitcroft. “They know what we all require... a lot more fight than we showed (against Crewe). The spirit has been reignited this week. “The fire is there. They know they’re in for one hell of a game. Exeter are a good team and have some top players. “We know we have to be on our best to compete with them. They [players] are looking forward to the game. We are ready and have prepared well. 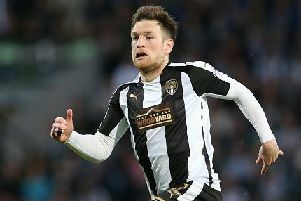 “I’m just looking forward to it, to exorcise the ghost of Saturday where we didn’t turn up first-half [against Crewe]. “When I get hurt, I come out fighting, and the lads know that. But we’re fighting together, and it’s brilliant.